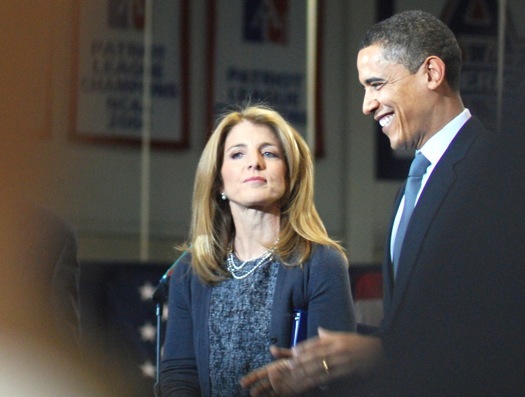 A Quinnipiac poll of New York voters out this week reports that 38 percent of respondents said Paterson will pick Caroline Kennedy (that's down from 48 percent a month ago) -- 33 percent said he wouldn't and 29 percent said they didn't know (though, really, isn't that all of us). So maybe things aren't looking so great for Caroline. But, the picture's a lot different over at Intrade, a prediction market. Its contract for Caroline getting the Senate seat is currently trading at 70 -- which is to say, the "crowd" there thinks Kennedy has a 70 percent chance of getting the seat. If you think the traders have it wrong, you can buy contracts for Cuomo at just 24 right now. (Alas, there's no Gillibrand contract). Eliot Spitzer. He knows NY, and has proven he can get things done in D.C.